Delve deep into the world of jazz guitar with 10 extended lessons from master guitarist Sean McGowan. You’ll learn vocabulary for soloing over essential jazz forms like the 12-bar blues and rhythm changes, as well as virtually any chord progression you encounter. You’ll acquire a broad palette of chord voicings, along with the rhythmic ideas for smart comping. And you’ll absorb techniques for playing everything cleanly and efficiently—not just for jazz but any style. 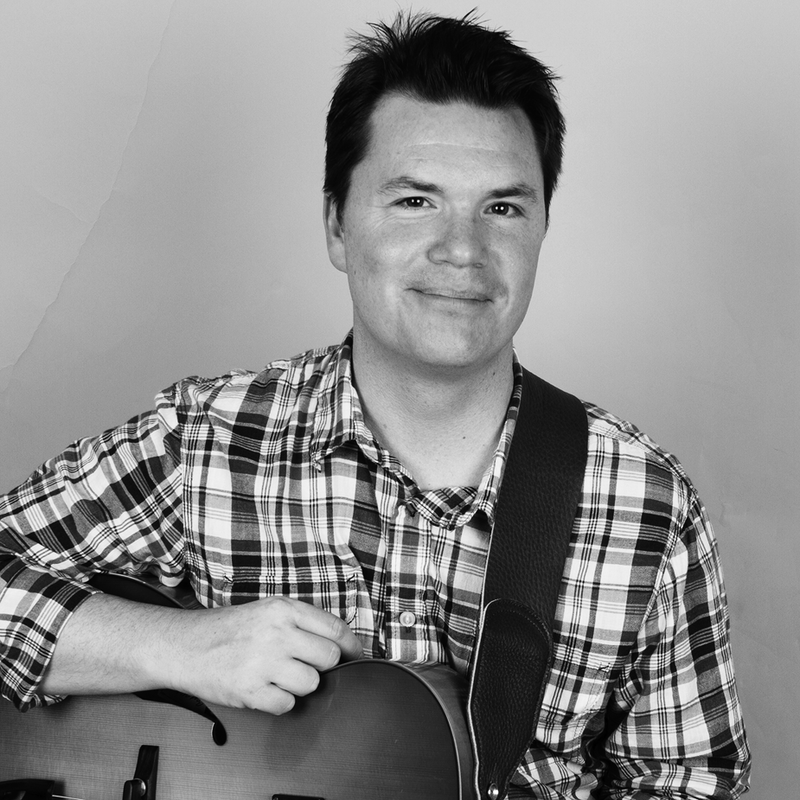 Sean McGowan is a fingerstyle jazz guitarist who combines many diverse musical influences with unconventional techniques to create a broad palette of textures within his compositions and arrangements for solo guitar. His first recording, River Coffee won the Best Independent Release of the Year Award (2002) from Acoustic Guitar magazine and music from the recording has been featured on BBC’s “Great Guitars" radio program, Maine Public Radio, and has been published in Japan’s Acoustic Guitar magazine and Mel Bay’s Master Anthology of Fingerstyle Guitar, Vol. 3 (2005). His recordings Indigo (2008) and Sphere: the Music of Thelonious Monk (2011) offer compelling portraits of classic jazz standards performed on solo electric archtop guitar. Sphere was named one of Acoustic Guitar magazine’s “Essential Albums of 2011". As a soloist, Sean has performed at the Novi Sad International Jazz Festival in Serbia, the Healdsburg Guitar Festival in Napa Valley, Copper Mountain Guitar Town, the Newport Guitar Festival, and the Classic American Guitar Show in New York. He has also collaborated with several dance and improv companies, as well as with jazz and acoustic musicians throughout the Rocky Mountain region. Sean is an avid arts educator and currently serves as professor of music and the Guitar Program Director at the University of Colorado, Denver. He earned a DMA in Guitar Performance from the University of Southern California in Los Angeles and has conducted jazz guitar workshops at Berklee College, Bowdoin College, USC, University of Maine, University of Oregon, McNally Smith College, and the Seattle Jazz Guitar Society and Cheyenne Guitar Society. He has also presented and performed at the Jazz Education Network conference in New Orleans, the International Symposium for the Performing Arts Medicine Association in Aspen, CO, and numerous College Music Society national and regional conferences. Sean is a strong advocate for injury prevention and health education for musicians, and his workshops incorporate a holistic approach to playing. He is also a contributing editor for Acoustic Guitar magazine and the author of Fingerstyle Jazz Guitar Essentials (String Letter/Hal Leonard).